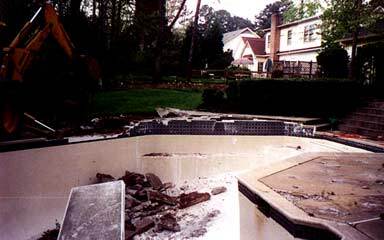 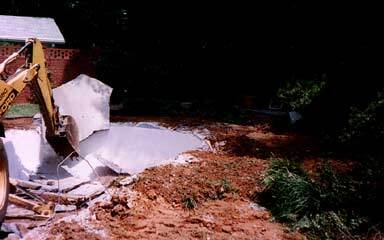 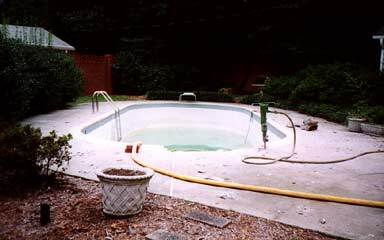 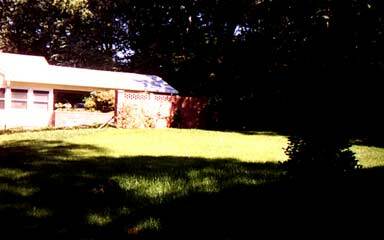 We have experience demolishing vinyl or concrete in ground pools or above ground pools. 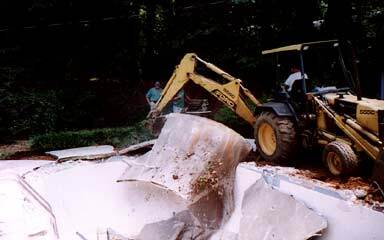 McAllister Landscape and Grading can create the beautiful landscape you have always dreamed about. 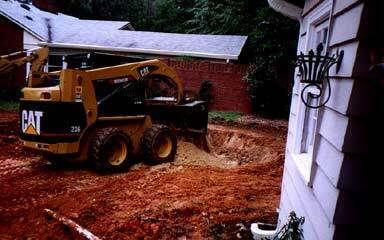 First, we meet with you to discuss different opitions such as where to bring in dirt and heavy eqipment (to avoid cracking driveways) and which plants or fences to tear our or relocate. 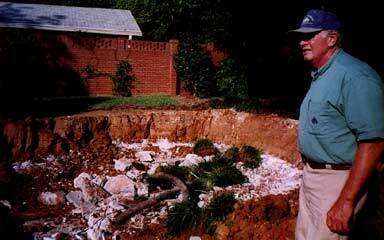 We discuss grading and a landscape design that works well for your family's needs. 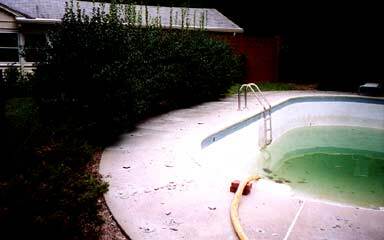 We call in a utility line locater, have a licensed electrician disconnect all power running from your pool to your house. 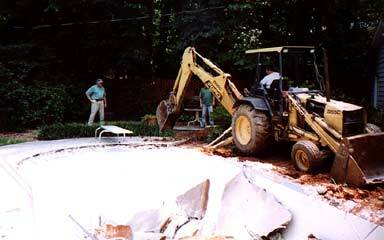 We haul all trash (pool liner, pumps, supports, decking, etc) to a proper landfill, fill and compact your pool space with a compatible grade of dirt, and add 3-6 inches of topsoil for lawn or landscape beds. 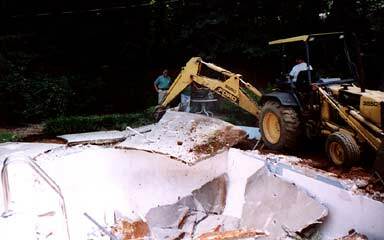 To complete the project, we reinstall any items moved during the demolition and pressure-wash the street, including all driveways and sidewalks. 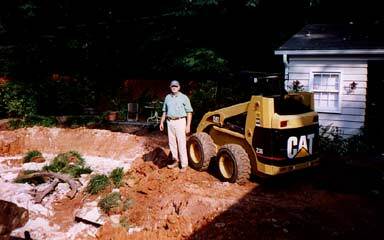 "If you want a stress free experience with professional results, call McAllister Landscaping & Grading. 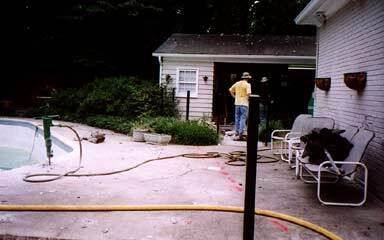 They are experienced, dependable and committed to providing high quality work."